B&W image SILLIAC console. 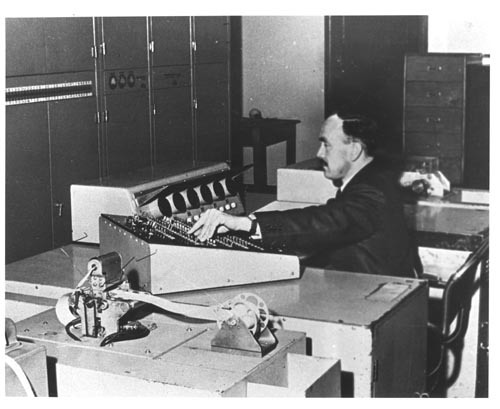 In the foreground is a paper tape device. Jurij Semkiw is sitting at the console with his left hand on the switch box. In the background are some of the electronic cabinets.